I have started to take some of the pink blocks down. I thought I would play with my spools. I have been using the spool block as a Leaders and Enders project for 6 months. To see more about this and to get the free pattern go see Bonnie Hunter's Blog Quiltville. I wanted to play and see how I could move from one colour family to the other. You can see how I moved from blue to pink. The movement from orange to pink is much more blended but is the same every other block as the blue to pink. So far I only have some blue, pink, orange and brown on the wall. I have a stack of black blocks made but not on the wall. I was running out of room. This spools quilt is going to be big, I think. 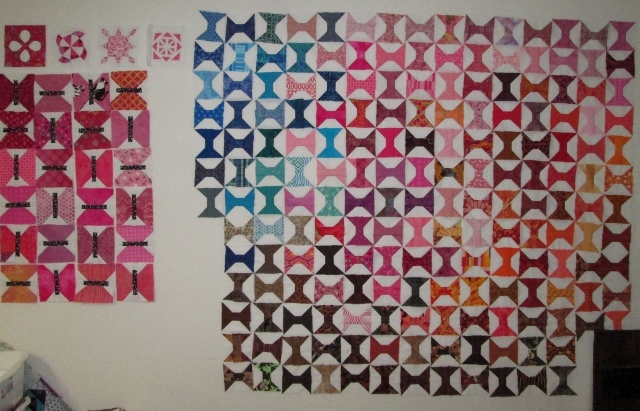 I am trying to do it like a charm quilt with no fabric repeated. I found one repeat in blue today. I got some really good quilt News this weekend. My entry to the Canadian National Juried Show got accepted. I will show if off around May 16th when the National Juried show opens. I am hoping to go to the opening in person that night. Mom and I and a friend are making plans to go. I have added today's post to Judy's Patchwork Times Design Wall Monday. Your spool blocks look great! Congratulations on having your quilt accepted into the Canadian National show - that is quite an accomplishment! I know you'll have fun at the show. Congrats on acceptance int eh Canadian National Show...can't wait to see it. 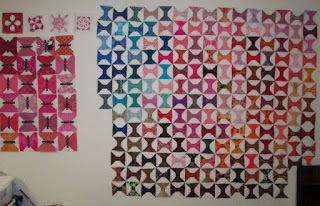 I always enjoy seeing what your are working on with your quilts...and of course...Lex. Wow! It's good to see that someone else has so many projects! I love all the pink, especially the hexies. Congratulations on the acceptance to the Canadian National Show - what an honor! 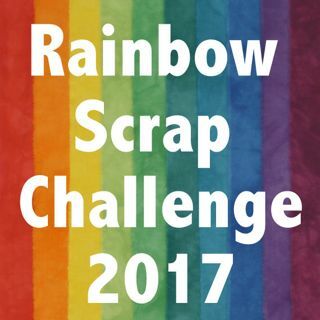 congratulations on your NJS entry. Love those spools. Congratulations on your acceptance to the juried show; looking forward to seeing what your entry looks like! Wow look at all those blocks. They are looking fantastic!